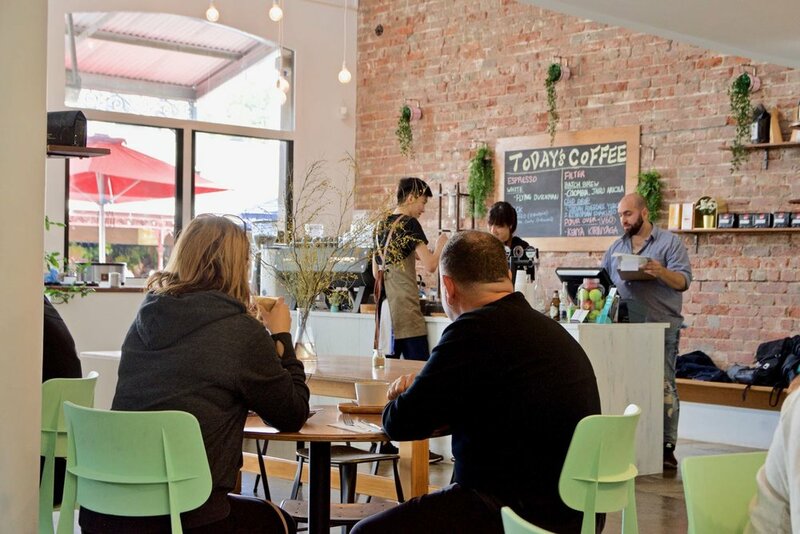 Located in heart of South Melbourne, just a hop and a skip away from the historic South Melbourne Market, The Coventry pleases with exciting Mediterranean influenced brunch options alongside quality coffee. Earthy tones and splashes of greenery create a welcoming space, perfect for lazy weekend brunches. 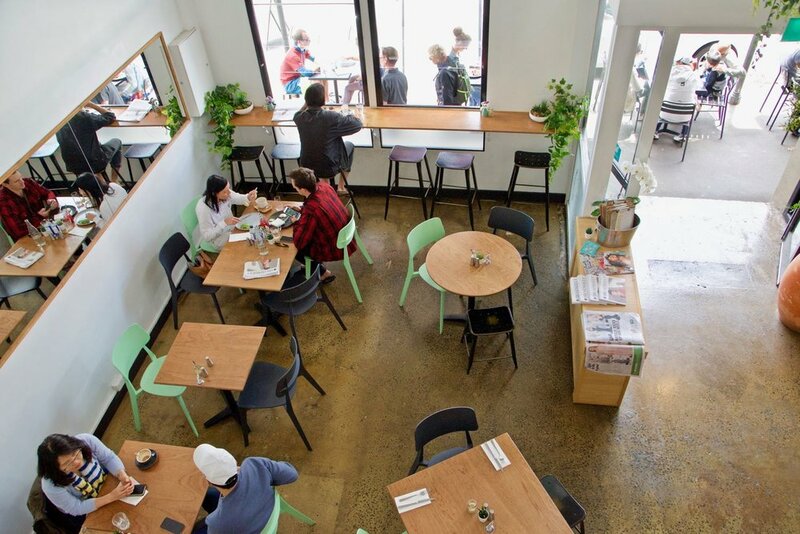 The café is relatively new but runs like a well-oiled machine. 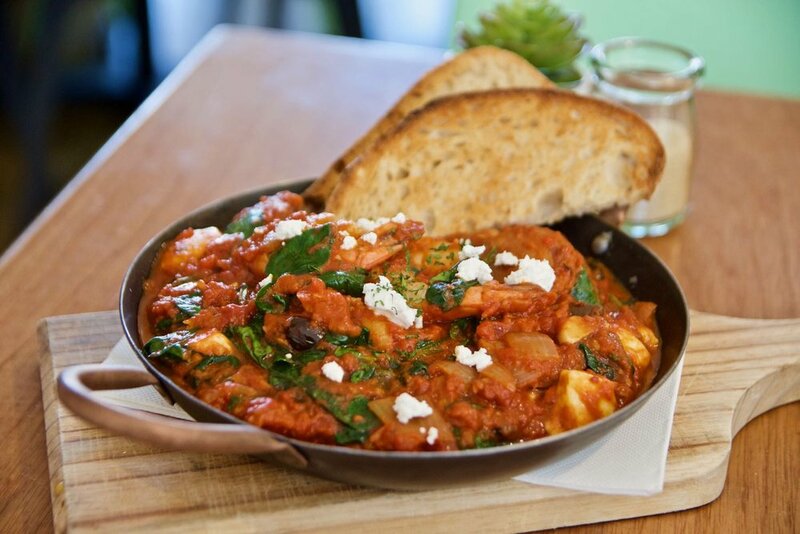 Not surprising given owner, Nick Bourgazas is a hospitality veteran – he’s owned venues such as Piatella and Meat in the Middle in Glen Waverley. As expected of any great Melbourne café, the coffee is excellent. Guests can expect Cote Terra speciality coffee poured by adept baristas. The Flying Dutchman blend from Cote Terra is used for milk-based coffees, which brings together the fruit tones of a natural Indian roast, with mellow caramel tones of a Colombian roast. 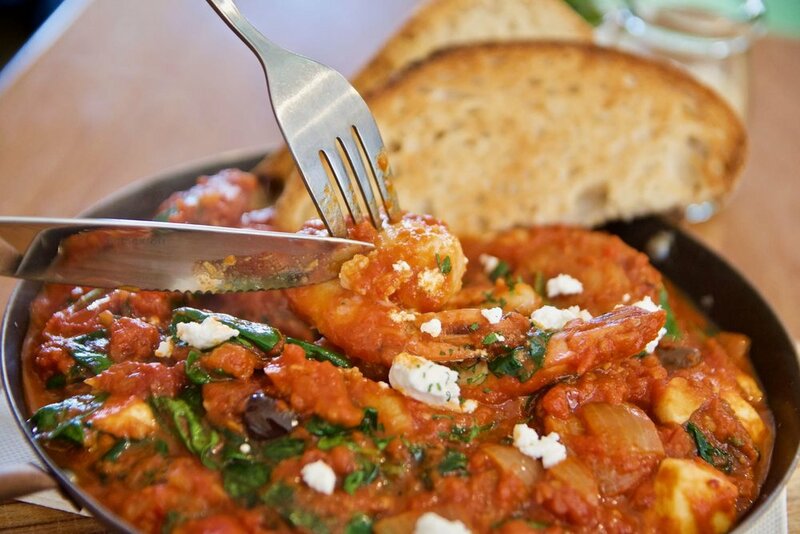 On the food front we fell in love with the Gnocchi a la Noire. Pillow soft homemade squid ink potato gnocchi was tossed with chunky porcini mushrooms, chicken and luxurious pesto. It was a thing of beauty. If you prefer something sweet then make sure you take your pick out of their dedicated Crepes and Waffles menu. We devoured our peanut butter and jelly waffle – Think fluffy stacked waffles with craters that cradled crunchy peanut butter, roasted nuts and berry compote. You really can’t go wrong here.